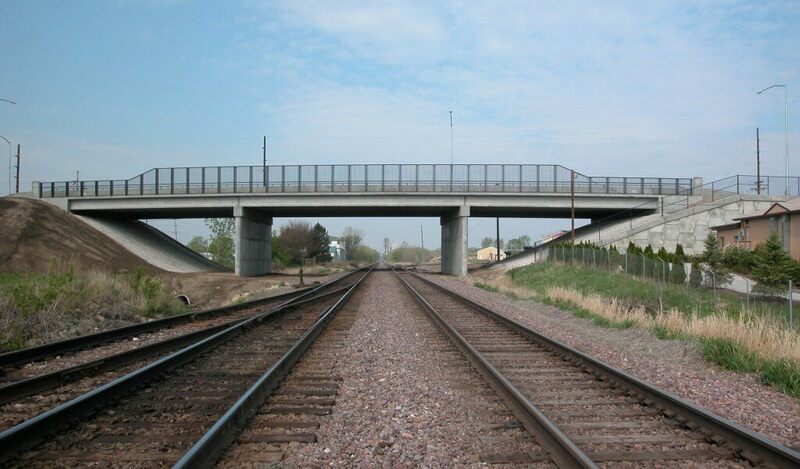 This project began with a rail-highway crossing feasibility study for the City of Ames, Iowa. The study was conducted to review specific conditions of a 70-train-per-day rail line and evaluate the impact of specific crossing improvement alternatives. A grade separation of Dayton Avenue over the Union Pacific Railroad (UPRR) was determined as the only way to plan for future high traffic volume. This segment of the UPRR is one of the busiest in Iowa, and any construction activity could disrupt critical rail traffic. As a result, the initial bridge construction would be built to a sufficient width to facilitate a five-lane roadway. Union Pacific also required that the crossing to be constructed to allow for a third set of tracks in the future. Precast concrete beams to expedite construction and limit interruption to train travel. Wall piers to provide crash resistance and ease of construction adjacent to the railroad tracks. A sidewalk/bike trail on the bridge for safe accommodation of pedestrian traffic. Ornamental concrete barriers and aesthetic steel rails to enhance the appearance of the crossing and protect rail traffic below. Mechanically stabilized earth walls, which utilize straps behind concrete panels embedded in the retained soil mass—so the weight of the soil is used to retain itself. These walls, located along the approach fills, dramatically reduce right-of-way encroachment on adjacent properties. Additionally, they are less costly and much faster to build than traditional retaining wall structures. 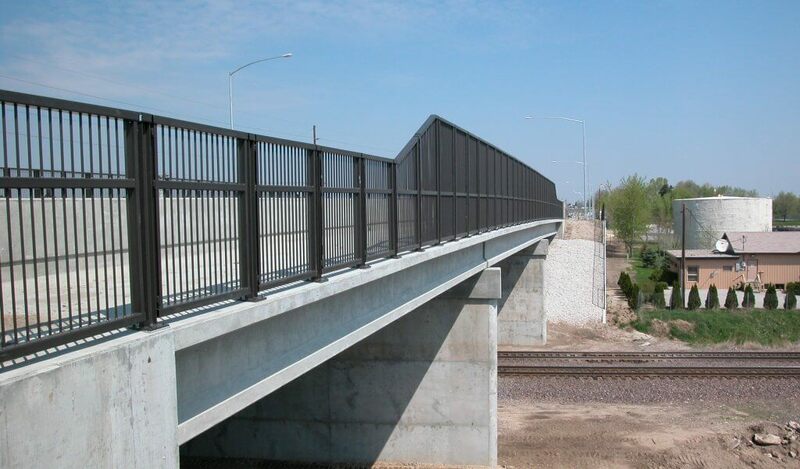 The bridge was configured to provide the minimum required clearance around busy railroad tracks throughout construction. Details including precast deck panels reduced concrete forming and stripping needs, to facilitate speedy construction, maintain the project schedule, and minimize disturbance along the corridor. The grade separation improves access for local businesses and enhances safety for motorists and pedestrians. In recognition of all project goals being met, the project received an Engineering Excellence Honorable Mention from the American Council of Engineering Companies of Iowa. As the structural engineer for the project, our responsibilities included shop drawing review, weekly inspections, and coordination of roadway construction staging.